Programmatic technology, once an instrument for media buying, is now beginning to establish itself as the industry mainstream. With the ability to provide scalable and efficient advertising campaigns, programmatic has become a growth engine for digital media trading in my business as well as many other organizations. With this in mind, there are several factors to consider for marketers who are not yet on board with programmatic. Programmatic media buying has been showing continuous growth at least since 2014. By the end of this year, it is predicted to become the primary advertising method, according to eMarketer, with four of every five U.S. digital display dollars transacting programmatically. Whether in private marketplaces or via real-time bidding (RTB), ad buyers and sellers are moving away from performance solutions in search of improved precision and greater efficiency. The U.S. is leading the way in adoption of programmatic technologies, while the U.K. and China trail with smaller ad spends. At the same time, the incremental growth rates worldwide, and especially in China, show potential for programmatic technology. Exponential growth is also predicted for South-East Asia (registration required). There is a big gap to be filled in Asia, and a number of enterprises are looking to advertise on a varying scale. The growth trends are also impressive in mobile: By 2019, nearly 80% of programmatic ad spending will be for mobile devices. Programmatic has become indispensable for buying ads, and if the trend continues, both major brands and publishers could be moving exclusively to programmatic. Programmatic relies on advanced technology, which removes the need for lengthy person-to-person negotiations. The technology also offers an in-depth analysis of large data sets, bid requests, cookie and device ID data to assess each user individually. The technology lets advertisers bid on specific user profiles, not just audience segments. In the end, the price of each impression traded programmatically is connected to the predicted value of users and calculated according to the possibility of their converting into customers, helping to improve the cost-efficiency of the campaigns. Programmatic technology can also deliver results on a large scale. With this technology, brands get the opportunity to reach out to more people, while retaining high engagement and conversion rates. Programmatic platforms like Smaato, AppNexus and PubMatic — which combine functions of demand-side platforms, supply-side platforms and ad exchanges — all experienced a surge in market demand because of this increased efficiency. Some big brands have already benefited from programmatic technology by pairing it with creative and well-researched strategy. When The Economist ran a campaign to increase engagement and attract new subscribers by offering in-depth content and witty headlines, the results were outstanding. Programmatic allowed the magazine to target audiences with a high level of precision, analyzing the content users were browsing in real time and immediately showing the most relevant headlines. Brands are not the only group that can benefit from programmatic technology. The growing market demand for quality inventory helps increase cost per thousand (CPM) rates for publishers. At Clickky, we have observed that more generous payouts attract premium publishers, giving them an impetus to sell programmatically. One of the key challenges of the programmatic media buying market is the lack of transparency. There are too many intermediaries between advertisers and publishers, which means less control over expenditures. Clickky has witnessed the pervasiveness of non-transparent business practices in the U.S. media buying industry, which has pushed some companies to move programmatic media buying in-house. The answer to this challenge could come with more comprehensive solutions, which combine several tools for media trading. At the same time, developing an RTB marketplace requires advanced technological capabilities. It took months for our R&D team to turn the concept into a fully functioning marketplace, with the capacity to connect SSP to DSPs, process and filter bid requests, deliver bid responses and check the viewability of ads, thanks to the integration of an anti-fraud solution. Although fraud is still one of the top challenges for programmatic technology, marketers can learn to reduce its negative impact by constantly measuring the efficiency of ads, using the capabilities of blacklisting and whitelisting tools, analyzing the quality of traffic and detecting suspicious activities. The fraud-prevention solutions and ad verification services, like The Media Trust (which we use at Clickky), RealVu and Adometry, also serve to help find and block fraudulent traffic sources. Whitelisting helps to filter out reliable partners and give them preference. Blacklisting, on the contrary, is designed to block suspicious sources that provide poor quality traffic. These capabilities are usually available through programmatic platforms. Additional anti-fraud tools are often integrated with a platform as well, to monitor each ad even before the bid, measure viewable impressions and track down dozens of methods of impression fraud. That helps to ensure that the ad will be delivered and viewed by the audience, even before an advertiser buys it. 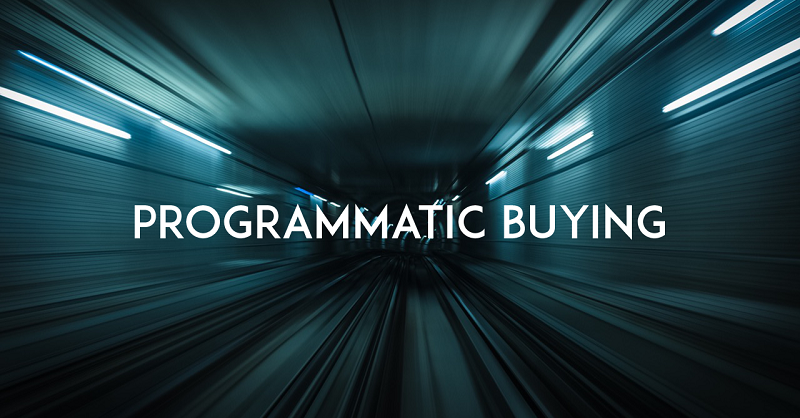 The key features of programmatic make it one of the essential instruments in the media buying toolset for marketers worldwide. While still facing challenges like fraudulent traffic, programmatic offers a competitive, if not yet perfect, solution for running efficient campaigns on a varying scale.